The set comprises of a pool, diving board, slide, Chelsea doll, 3 puppies, a dog bed and little towel. One of the pups is designed to flick over and do a somersault at the end of the slide. This is so simple but looks effective. 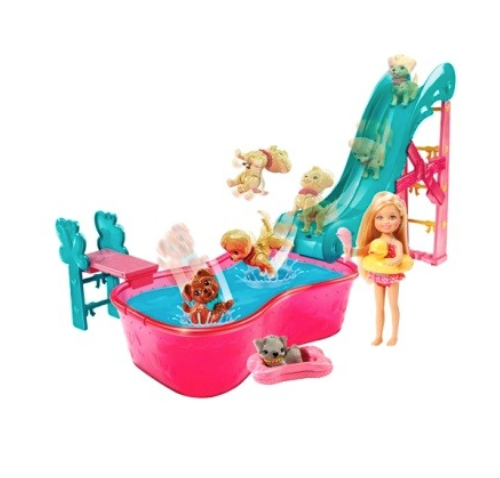 The slide has a catch at the bottom and the puppy hits it and flips over, catapulting her into the pool! The other two puppies are squeezy and squirt water from their mouths so they can have a water fight with Chelsea who also has a dolphin water feature to squirt water from! Isla, Noah and Cousin M all enjoyed some time at my parents last Sunday playing with this toy. 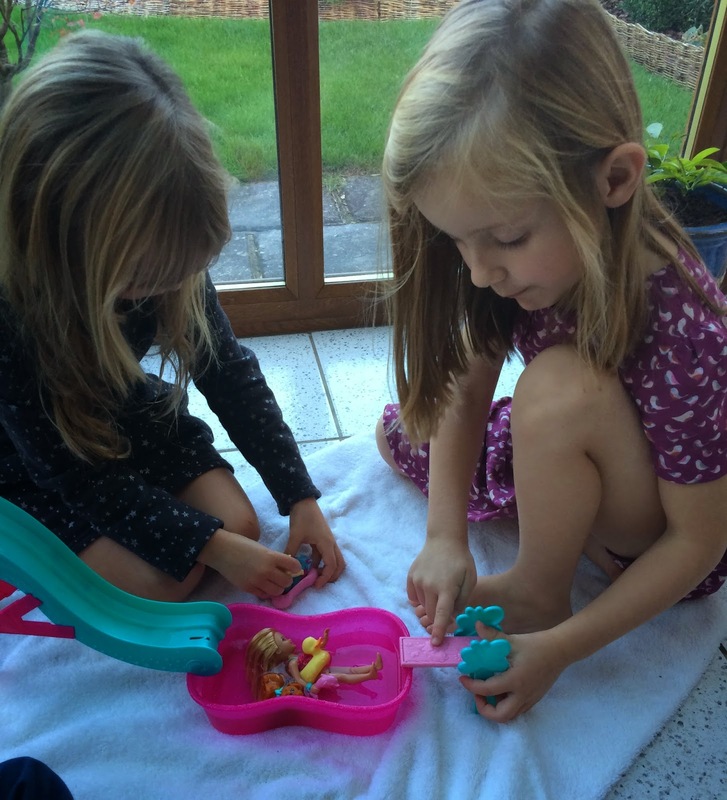 Water play in the house can be a bit tricky but with a few towels down there wasn't too much mess and in the summer it will be perfect for the outdoors and will go nicely with the Barbie swimming pool we already own. 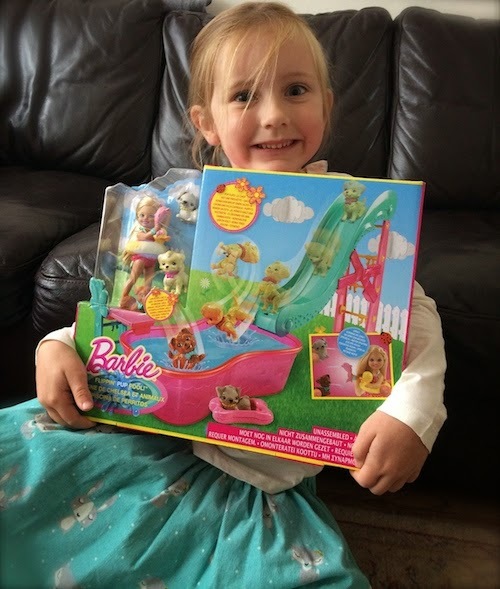 This set really would make a fantastic Christmas present for any fans of Barbie and also any little brothers who particularly like to stick their Disney Cars in the pool for swim too! We were sent the Chelsea Flippin' Pup Pool Playset free of charge for the purposes of this review.